As you probably know, getting books into young readers hands and making sure they have what they need to become lifelong readers is a passion of mine. I've been thinking a lot about young readers, especially those who may be stiving in this area, dare I say, even struggling. Mixed in with my usual posts letting you know what fantastic books are out there, I'm also going to include some ideas you might want to use to help your readers - whether they are striving, struggling, or independent. You know how there are some readers who want to read every book you hold up? You don't even need to book talk more than saying the title. Of course reading the back or inside flap helps, but there are enthusiastic readers who want their hands on every book that is shown (full confession, that is and was me. No surprises, I know). But other readers need some convincing. The little teaser those back/inside flaps give aren't enough to convince them to read a book. They need to be a bit more invested in the characters or the plot before they give the book a chance. And then there are readers who fall for the supply and demand of a book. If they see other readers wanting to read a book, then that little push of peer pressure will encourage them to read the book too! That's why I love #FirstChapterFriday - it's more than a tease of a book and when you raffle a book off, it makes readers want the book even more! Let me do a quick backtrack and explain what this day is! I'm not sure where the hashtag originated from, but it's easy to follow along and figure out, even if you aren't on social media. Every Friday (or really any day you want), the teacher picks a book - it can come from any library, it's just best if you can keep it for some time - and it can be a brand new book or something that has perhaps been collecting some dust. I take the time to show the cover and we do some noticings and some questions to get us thinking about the book. Then I read the back/inside flap - I always do these things because I want to model what readers do when they pick up a book for the first time. To consistently show and talk about this helps those kids who don't come naturally to a book with curiosity and wonderings. Next comes the good part - we read one chapter of the book. Sometimes if a book has really short chapters, we may read a few chapters. I have found that within one chapter of a book, usually the characters are introduced and we get a feeling about their initial character traits, we may get an understanding of the plot and we know the setting. Being set with this information can make the rest of the book so much more approachable for some readers. I also take the time to share if the book is part of a series or if it's a new to them genre, I can share some other books the students may want to check out. 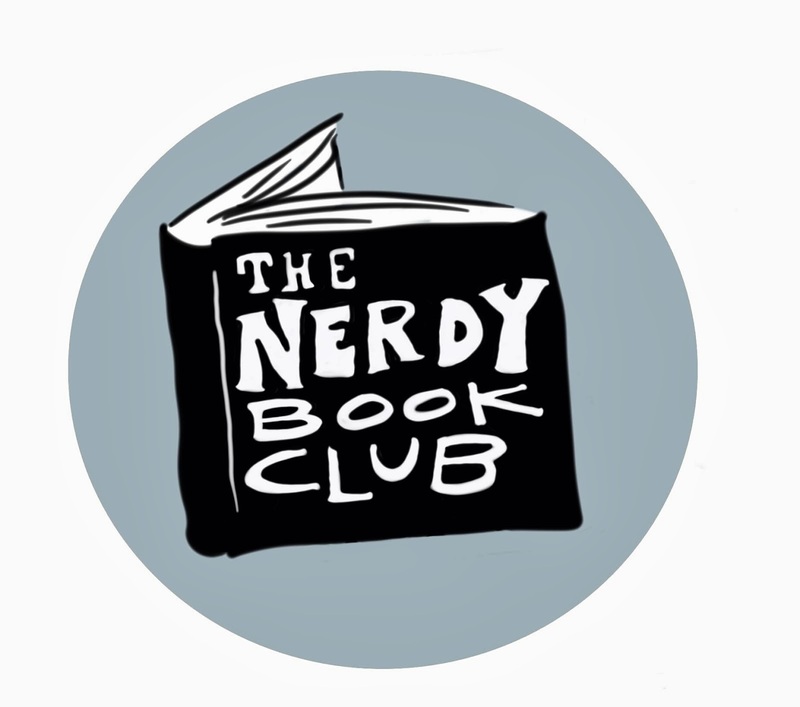 The teacher can raffle off the book for readers who are interested in reading the book. How the raffle looks is up to individual teachers. I like having kids write their name on post it notes and I pick names and write the order of readers on a longer post it note. I tuck that post it note in the back of the book, that way when a student finishes reading the book they can cross their name off and pass it to the next reader. It keeps the circulation going without me having to handle it. Finally... when I remember.... I share it on social media using #FirstChapterFriday. So this whole process is easy enough but the best part to me is how I use it to get readers reading the books I know they need. I find myself constantly attracted to middle grade novels. I think they are so well written and I fall into the plot lines and love the characters so much. However, the more I work with 3rd and 4th graders, the more I understand that many of them are not ready for those books. I also see many of them are just like me, they see those pretty covers and gravitate towards them. I think they also see the more pages in a book, the more it elevates its status... even if they can't stick with books that are that long. So I take this day to celebrate the books that aren't as long. Some that aren't being picked up because they are shorter. Using that whole supply and demand thing makes these books very attractive. Really, they were attractive all along, they just needed some love. One of my favorite parts is seeing the readers who didn't get first pick in the lottery run to our school library or my classroom library to find the sequels! Have you noticed with many series you don't have to read them in order? So by showing one book in a series, you actually can get many books into hands of readers. This is something I'll continue doing and encouraging teachers to try for a long time. Whether you choose to participate in the social media part is up to you. The important thing is getting some books into hands of ALL readers! 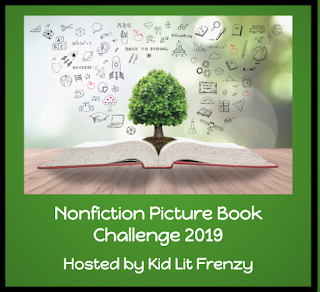 Last week I shared some thoughts about books in a nonfiction collection of a classroom library. You can find the post here. Over the next few weeks I'll be sharing some new to me books you may want to find! I love this series and this book was the first one that really taught me a lot about the sport - the others I had a good amount of background knowledge about. If you're unfamiliar with the series, each contains photographs of actual teams (professional or in this case, collegiate level) and then little illustrated characters. The illustrated characters always provide some comic relief. 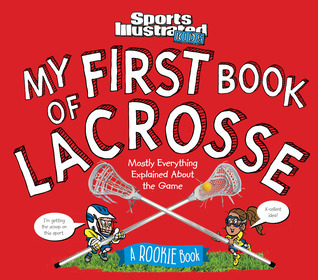 The books are not long in sentence length and if the reader has some background knowledge of the sport, it will assist in some of the vocabulary. Each book has a basic breakdown of the rules and how the game is played. I hope this series continues to grow. This book will be added to my collection that already features a book about football, hockey, baseball and basketball. This is my favorite kind of biography - one about a regular person in American that did something really special that I may never have known about. Usually, these people have made a lasting impact that resonates more than things celebrities are well known for these days. Junius G. Groves was born into slavery in Kentucky, but with the abolishment of slavery, it meant he was free to leave and find new land. 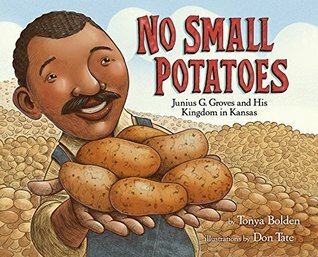 It was in the great state of Kansas that Junius G. decided to lay down roots, and roots he did - by slowly saving and working hard for every penny earned, he was able to buy hundreds of acres of land and grow, amongst other things, potatoes! A great story about hard word and dedication, it's a fascinating read that is peppered with writing you'll want to use as a mentor text. Bolden fills her lines with alliteration that sticks to your mind and makes this book a really fun read aloud. There are many pages that contain actual quotes from Junius G. which is important instead of made-up dialogue. With the careful details in his illustrations, Tate helps bring alive a story that is very memorable. Extensive endnotes in the backmatter give you even more information or places to research this interesting man. Source notes for the quotes used in the book are also noted. Next up are some newer books about elephants. I find these creatures amazing so I love reading more about them. 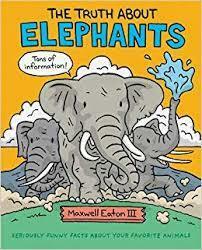 While Katherine Roy's 2017 book How to be an Elephant gave us a lot of information using some unique comparisons, this particular book hooks the reader by adding some voice to the facts - specifically humor! The fourth book in the series follows the same format - information about the animal with some comedy thrown in on the side - and will be sure to gain even more readers with this one. I continue to learn more about these fascinating creatures in every book I've read - did you know elephants can make a sound that sounds like a very large cat purring?? I think this is my favorite picture book about these amazing creatures. This is a book I cannot wait to use as a read aloud because the information is absolutely fascinating. So many times I stopped and said "wow" and just pondered about amazing animals! 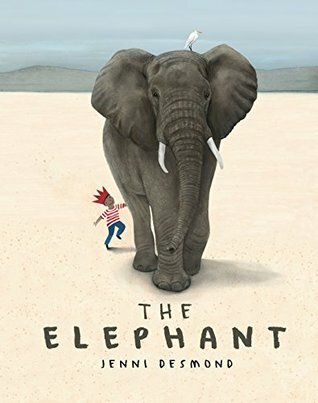 While Desmond weaves in some fiction elements in her series of large animals (if you haven't already, be sure to check out The Blue Whale and The Polar Bear) - a child character is seen in scenes, oftentimes reading the book we are currently reading! The biggest complaint I have about this book is there is zero backmatter. In this day and age, I really feel it is important to include backmatter, if anything else for source notes. Be sure to check back in the upcoming weeks for more new nonfiction! I reflected on our nonfiction collections in classroom libraries here. I love series and some of my favorites for readers in 2nd-5th grade have some new ones that have recently published. Find more about them here. Our readers at school fell in love with the book Blue by Laura Vaccaro Seeger. The emotions that come up when a book is about a dog and a child... I think readers will love this wordless picture book about the meanings of found. Wow. This book is so important to read right now. I don't see too many young kids who really understands what it means to give from the heart. To really think about another and what they may need and how a young person, without financial means, can give that something to another. I will be interested in seeing how this book can reach young readers and if it makes them think about the message. And I cannot talk about this book without mentioning the illustrations. The mixed media seems to be a perfect choice that compliments the message of the story. Glad to see Patricia McKissack's words live on in this beautiful book. Another bear story that might not be what you first think it is (don't miss The Bear Ate Your Sandwich). I think this one misses the mark just a bit, but still proves to be a pretty fun read aloud. I'm wondering what the reaction of young readers would be if you first read this book without showing them pictures and asking what they were visualizing. Then read it again with the illustrations. Same story? A definite mentor text for similes, this book has uses in the classroom! A fantastic companion to O'Brien's I'm New Here.. You'll want to own both books so students can see both perspectives - a new immigrant, to students meeting the new person. The concept of love probably looks different to individuals and it being such a big idea, I wonder how many young readers have trouble identifying what it looks, sounds, feels like? Z the Robot is wondering what love is after finding a message in a bottle with only the words "love" and "Beatrice" on the letter inside. On a mission to find Beatrice and find out what love really is, readers might be surprised to find the answers. A perfectly timely book that explores the mixed up feelings of a biracial child. In today's society, we often hear people described in terms of colors - white, black, brown - but what if those colors don't describe, or define, who you are. I can see this being a powerful read aloud in classrooms and libraries today. I actually have more picture books to share but I had to put everything on hold to watch Rent on FOX. Oh my goodness - did any of you watch it? I'm just in awe, it was absolutely amazing. So impressed with the cast. I want to keep watching it over and over. But I guess I'll have some time to read after the awards show - it's a snow day for us! I'll have more for you next week! Happy reading! 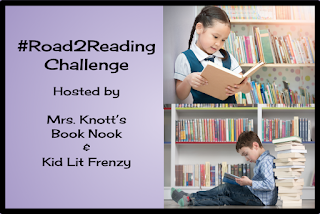 When we talk about readers who are starting their independent reading journey, whether it's a reader who is starting sight word readers or those who are starting chapter books, series books are so important. Once the reader has an idea about the characters, plot and setting, it supports their understanding of the book. There is some predictability that lets the reader focus in on the new parts of the story. Here are sequels from series that are great for those readers who are looking for a longer story, but are not as complex as middle grade fiction. I adored meeting Ellie Bell in the first book - the fact that she is defying "norms" for boys and girls is so important for young readers to see. In this sequel the idea of what boys/girls like and what their interests are is further explored. 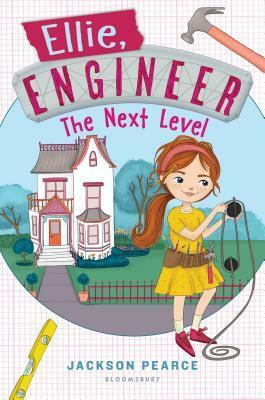 Friends Ellie, Kit and Toby end up having to help out an elderly neighbor, Mrs. Curran, and both Ellie's ideas of the older generation and Mrs. Curran's ideas of boys' and girls' interests get challenged. I love how Pearce includes information about some of the simple machines that are talked about in the book in the backmatter. This is the first book in the series that features a co-writer who adds a cultural voice to the story. The third book in the series is about the Muckleshoot Native American group that resides in the Pacific Northwest. While Joseph Bruchac is not part of that tribe, as he explains in the author's note at the end, he knew he did not want to perpetuate any stereotypes of the tribe or their beliefs and took the time to work directly with the tribe to learn what he could. This time, the Unicorn Rescue Society heads to the Pacific Northwest to stop the Schmoke Brothers from excessive logging (taking down trees) that is part of the Muckleshoot land. Of course they have far more sinister plans than just that as they want to expose the sasquatch, which may or may not be mythical creatures. 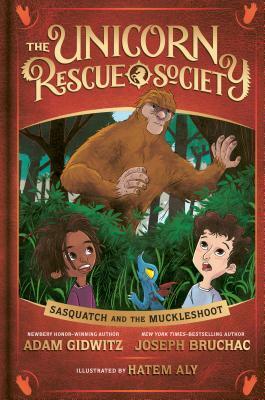 I like how Bruchac includes as part of the story the differences between Bigfoot and Sasquatch and how it fits into the Muckleshoot Nation. Oh, how I love this series! I have seen conversations lately about how books with Black characters should not always be about civil rights, slavery, police brutality, living in the ghetto.... I absolutely agree and it's a series like this that is so needed. A series that features a Black family that is doing everyday things and have everyday problems. Not every Black family is dealing with some kind of larger problem and we should not be giving the misconception otherwise. At the heart of a Jada Jones story is friendship. Making friends, keeping friends and thinking about what makes a good friend - these stories get to what their readership is all about. And then if that's not perfect enough, we get to throw in science! Jada is a scientist and her enthusiasm for all things science comes through in the stories. 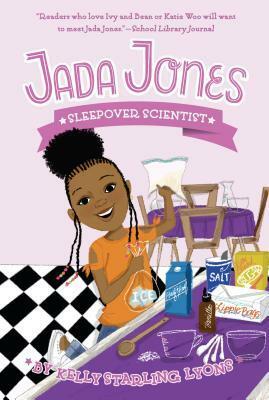 In the latest book, Jada is so excited to have a sleepover party and she's sure, well pretty sure, that her friends will enjoy the science theme. Jada tries hard to think about her friends' interests and mix them into the experiments, but will that be enough to please her friends? So exciting to see more Jada! Erin is such a talented writer... her writing spans the ages and what I love is how she gets each age group. Whether it's pirates who happen to be puppies, imaginative magical realism that gets quirky or the throes of adolescence, Erin knows how to reach her audience. This series "The Daring Dreamers Club" has something for everyone. With five different characters, readers are bound to relate to at least, if not more, of them. 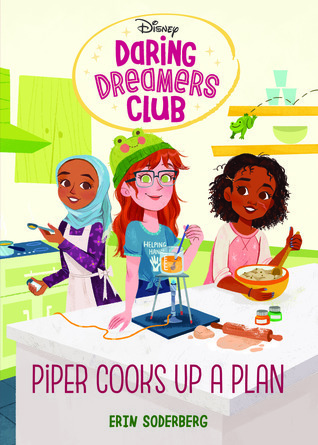 The second book in the series focuses on Piper, who works science magic in the kitchen! I love how her scientific and sensory brain works while she is in the kitchen! Definitely missing that part of the brain, myself! Throw in some reality TV with a kids cooking competition show, this book will appeal to many readers. I can't wait for kids to see how these five, strong girls support each other in this next book. We have to wait just a bit longer since the original publishing date of January got pushed out to June, but I can promise it will be worth the wait! Hope these sequels find a way into your library! I've been thinking a lot about the kinds of nonfiction we have in classroom libraries. I will be honest, my fiction section far outnumbers my nonfiction books. Buyers bias? Probably. Although when I reflect a bit more, I generally only have picture books in my nonfiction section. Just a few longer nonfiction books. Since I service a K-4 school, I recognize almost all of my readers prefer picture books when it comes to nonfiction. And that's fine, I think that is an appropriate length for their reading stamina. When I think about that, my nonfiction picture books outnumber my fiction picture books. It's just when you include the fiction chapter books, it starts getting outnumbered. However, in the past five years I have been reading more nonfiction, buying more nonfiction and using more nonfiction as read alouds. I have been cognizant of how I display my nonfiction and how it is organized. I try to keep it easy to find what a reader may be looking for. It's a user friendly classroom library, I hope! When I think about the majority of my nonfiction books, they lie in 2 main categories - books about animals and biographies/memoirs. The animals books get read.... a lot! Biographies go through phases depending upon what teachers are reading. The graphic novel memoirs get the most love! While I recognize animal books are very popular, I'm constantly trying to find books about other subjects, too. Kidlit authors, if you're reading this.... we need more nonfiction books that cover current science and social science standards! Not only would teachers need these in classrooms, these books help young learners understand new content in a way a textbook will never be able to! I've also been paying a lot of attention to Melissa Stewart's blog posts in regards to expository nonfiction and making sure I have an abundance of these books in my library. I still tend to gravitate towards narrative nonfiction, but I've gotten better! I know by paying attention to her posts I'm going to be exposed to a variety of nonfiction and she helps me make sure I'm including all types. 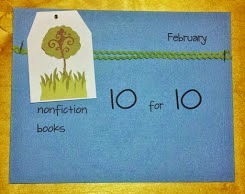 Within a grouping of nonfiction I try and make sure I have a mix of expository and narrative nonfiction. I encourage you to take a look at your nonfiction section in your classroom library. What are your gaps? 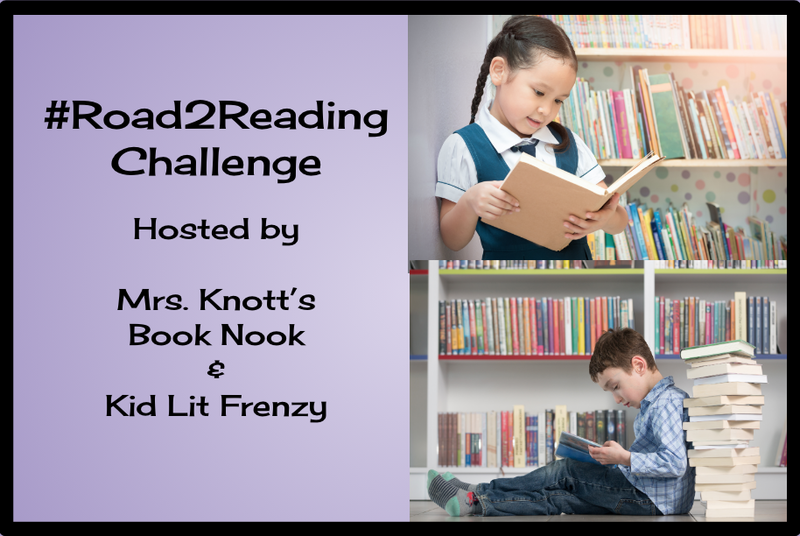 Do you have books for all readers? What do you need more of? Do you have a mix of narrative and expository nonfiction? And do you have an area that I don't have? Recommend something to me in the comments! I had heard some buzz about this book and now I know why. It is simply gorgeous. A story about slavery and family and what happens when a family member runs and the family that is left behind. Not a single word is wasted in this story which makes it even more of a heartprint story. The illustrations are simply gorgeous, I imagine it will end up on some Mock Caldecott lists next fall. The design choices the publisher made are superb too - the classic book under the jacket feels so right for this book. It does not shy away from the harshness of slavery which makes it more accurate than other books I've seen. There are also quite a few signposts throughout the book - again and again, contrast and contradictions, aha moment, tough questions. I am really enjoying this husband-wife collaboration. Now entering the third season and my least favorite - winter. Blah. However, Dronzek's illustrations make it look so pleasant... as long as it stays on the page and not outside my window, I'd be fine with it! Formatted as a board book, but it definitely should not be overlooked for classroom purposes, a book full of adjectives describing all of the different ways you can be! Be sure to note the subtle decision to challenge some gender norms by having words more typically associated with girls, attached to boys (sensitive, artsy, scared) and vice versa (funny, noisy, strong). Well done, Ms. Gravel. I should have known since it was edited by the Nancy Paulson that I would love this book. If Nancy's careful eyes have touched a middle grade book, it's going to be a beauty. Dealing with racial prejudices and taking place in the south during the civil rights movement, this story, which is narrated by a white character, brings to light questions and understandings that are very relevant today. The only complaint I had was with the ending - I felt like it was too neat and quick. Perhaps if the issue had been fleshed out a bit in the beginning I would not have had the same issue. This was one of my first reads of 2019 and if this is any indication how the rest of the reading year is going to go, we are good to go! This one was slow to start for me, but before I knew it, I loved this little blob of ink! Inkling has come out of a sketchbook to help save a family. The mother has recently passed because of cancer, and the family is not doing well. Dad needs help with his graphic novel career, he is definitely having writer's and illustrator's block and oldest sibling. Ethan, is having trouble trying to keep his family together, which should not be the job of a kid. He does his best to take care of his younger sibling, Sarah, who has Down's Syndrome, but there are some things that need more parental help than what Ethan can provide. Along comes Inkling, who when fed a steady diet of amazing literature, including comics, is able to communicate by transforming its ink into words and phrases. The more quality literature it reads, the more communicative it becomes and the more it understands human nature. Inkling gives Ethan some help with his school work which sets us suspicions with his classmates. Friends become confidants, but enemies make life even harder for Ethan and his family. What surprised me about this novel is how much the reader cares for Inkling. The reader sees how much help this family needs and what it is able to provide. The human characteristics Inkling is able to possess, understand and demonstrate really makes it a character you end up loving! I am looking forward to hearing the reaction of the targeted audience, I have a feeling they are going to really enjoy this one! This novel in verse co-written by one of the Clinton 12 (the 12 African Americans that were the first to enter a desegregated high school in Clinton, TN during a time when it was violently protested by government officials, adults and the white high school students, themselves) will give middle grade readers an understanding and view of what happened during a time that many students do not have a strong understanding of. I appreciate hearing a first-hand account and perspective that history books do not provide. Thank you to Bloomsbury for the review copy. I am really enjoying Rick Riordan's new imprint that is featuring different mythological stories from other cultures. This one features Korean mythology. Min must set out to find her missing brother, Jun. He has deserted his post in the Space Force cadets, but it is something she knows he would never do. Could it have something to do with his desire to find the Dragon Pearl, which would help transform their extremely poor country? MIn leaves home to find out and when she does, the adventure truly begins. I wish there was some background information about Korean mythology included because since it was embedded in this space story, there was some information that I wasn't sure if it was mythological or fantasy. Regardless, fun story and one I'll definitely read the sequel. A story that is loosely based upon the "Beauty and the Beast" story - a cursed prince, a beast, and true love. I really enjoyed the twist on the story and the nuances that Kemmerer put into this story that enhanced the whole 'tale as old as time' thing! When I first started reading this book, I was thinking about the #metoo movement and Women Empowerment, but I really like the direction the book took. Our main female character, Harper, ended up being stronger than I thought she would be. A disabled character who truly showed that people are more than any label others try to put on them. I rooted for her the whole way and couldn't wait to see not only what happened to her but what is in store for her next. This publishes January 29th and I'm already eagerly waiting the next book! Thank you Bloomsbury for the review copy. Moriarty is an author I read very early on in her writing career. I loved her first several books, but I'll be honest, her last several have not done anything for me. It's why I don't read adult novels - they carry on for too long. This one starts out well - nine strangers are meeting for the first time as they check-in to a ten-day retreat at a wellness house. Somewhere around the middle is where the book goes downhill for me. It recovers at the end, but not enough to save the book for me. Hope this three day weekend has given you a chance to catch up on some reading! I know I took advantage of it... I actually have two more blog posts for this week! See you on Wednesday! During my blogging hiatus, I did not stop reading. In fact, I was reading more than ever! Today's post is all about what is coming. Lots of great reading coming in 2019! Maybe not last week so much, but here are some more recent blog posts you might have missed! I love the "Unintentional Adventures of the Bland Sisters" series. This post celebrates the last book in the series with a giveaway and some questions for the characters! What is normal? Who decides what normal is? Big questions for a middle school audience but that is exactly what our character, Lizzie, has to figure out when her life is turned upside down. With a father in jail for something that Lizzie herself doesn't quite understand and having to move and live in a temporary shelter, Lizzie slowly figures out the importance of family and friends and what "normal" means. With therapy coming in the way of hard work in a stable and getting comfort from animals, Lizzie learns that flying solo doesn't always mean by yourself. Beautiful heart-print story. I think this was the first 2019 book I knew would be going on my 2019 Long List Mock Newbery list! Absolutely beautiful storytelling in this middle grade book! Four homeless children find friendship, and possibly a family, on the streets of India. With themes of survival and trust at the forefront of this novel, it encourages readers to question their own beliefs and think about what they would do in the same situation. I appreciated this window into a world that is unfamiliar to me, yet one that made me feel so deeply. This is a book that will stay in your heart long after you close the cover. We had to wait a few years for Lynda Mullaly Hunt's next book, but it was worth the wait! Full of lines that stick to you and the heart print story that Hunt is known for, characters Delsie and Ronan will quickly become friends you want in your own life! What I loved about meeting these two characters is they both come to us with stories that have shaped who they are, but don't make them who they are.... we find out they are both so much more than they even knew they could be. While their back stories slowly unfold their way to us, we also see their potential. It's a joy to watch both characters grow throughout the story. Yay, a book that has competitive swimming in it! Not a sport that gets much publicity, it was really fun finding pieces of this sport that speaks to me - yes, I know what it's like to find the rhythm of your stroke and just let it calm you. That feeling once you're in the water and everything feels all right with the world. So glad this sport gets to shine in this story! And the story - it will resonate with a lot of teens - that hard line of staying young and wanting to grow up. I think tweens are going to relate to the main character, Annabelle, as she figures out who she is - as a teammate, a friend and family member. Natalie Lloyd is the QUEEN of beginning lines. When the first line sticks to you like glue, you know you're in for an amazing story. I feel like this book puts Natalie over the edge as far as being an amazing writer. In this book, she creates a world that feels familiar, yet is this dystopian world where there is conflict and only the "higher ups" can survive. This book has this "Hunger Game" feel to it with a lower caste system and having to send children to work in bad working conditions, without the whole kid-killing-kid thing.... And then Lloyd brings in this little piece of magic that provides promise and friendship. A beautiful story that I can't wait to get into the hands of readers. A story that is needed right now - not too many books that are published about losing your home and having to downsize. This year we have at least two about this social issue (Nanci Turner Steveson's Lizzie Flying Solo). In Knowles' story, the family is in danger of losing their house, the only house that main character, Rachel knows. And while that seems to be the big thing Rachel is losing, she is also torn as she tries to figure out who she is inside. She knows her best friend that she has known for years, Micah, feels more for her than what Rachel can give back. Because Rachel doesn't know if she can ever feel that way about him, much less any boy. A beautiful coming of age story, a book that is about staying true to yourself and the importance of family, is one that will feel comfortable for readers. I really enjoyed the first book in this series. It's one of those books I felt like never really got as much love as it should have. I love the emphasis on family, the family history of brujas and how it is integrated into the family's magic. I think the character of Leo is relatable for readers - she wants things that are considered "too old" for her and she gets into some trouble. This second book in the series continues all of the fun, but fleshes out the idea of family and friends as family even more. I used the first book as a #FirstChapterFriday book before Winter Break and it is currently making the rounds of a class. So glad to see it being read! Looking forward to sharing this next one with those readers! I absolutely loved reading more about Drest - this wee lass has a special place in my heart. She knows who she is and what she stands for and she's not afraid to stand up for what is right, even when it goes against some tough people... like her Da for one! Drest has so many qualities that I hope for young women today. Her stories are ones I'll be book talking for a long time because I feel like she has something to tell the world and in such a fun way - there's nothing like some sword fighting in a location like Scotland! Love this upcoming graphic novel that explores race and the ways it explores the idea of being not only the new kid at school, but also when you of the few people of color at a school. The quiet ways people make comments and assumptions because of your race are expertly explored in this graphic novel that is perfect for the upper middle grade audience. I think the impact of The Hate U Give has been so powerful. It's brought a tough topic for white people to converse about to the forefront of conversation. That book was brilliant, in my eyes. So how does the sophomore book go.... is it going to be the same? Something different? Not as strong? Goodness, this book is everything - it is strong, it is different, it is the same. So much love. I love that it takes place in the same setting, Garden Heights. The Garden Disciples and the King Lords are in there. There is reference to Starr and Khalil. I love that it's different from The Hate U Give. This book shows me not only what a talented author Angie Thomas is, but also shows me Thomas has phenomenal command of words.... just wait until you see the words she lays down. Publishes Feb. 5th... and can I just say I've had this book on preorder since Feb. 15th of last year. Cannot wait to own this book! I grew up learning about concentration camps and Hitler's desire to wipe out the Jewish population. It wasn't until I was a teacher did I learn about the Japanese American internment camps during World War II. And as we enter into the fourth week of a government shut down because our president is throwing a temper tantrum about finding more ways to denounce immigrants/refugees, I guess a book like this is possible. What should not be classified as being realistic fiction, is getting closer and closer to it. Layla Amin and her family, along with many other Muslim Americans are forced to enter an internment camp where they are monitored and policed by not only government officials, but also fellow Muslims who have denounced the religion and agreed to comply. Why are they living there? Because on a simple census form they were honest about their religion. Outlandish premise? I don't think so. A book that should be put into the hands of all young adult readers and talked about in classes. A companion to her award winning young adult novel, Speak, Laurie Halse Anderson has given us a memoir written in verse that gives readers background and a platform to find your voice and shout your truth. I don't think you have to have read Speak to appreciate this novel, but it will certainly make you go find it! That's it for now! Can't believe all of the great books we'll have to put in hands of readers this year. Looking forward to more 2019 stories!